Home › Finance Books › What Are The 7 Best Personal Finance Books? What Are The 7 Best Personal Finance Books? Whether you are a twenty something, a beginner, a young adult, in college, or an experienced budgeting pro, you can always improve your financial IQ. The average Joe or Jane citizen claims to read one book each year while the average CEO is reported to read sixty books annually. Why is reading more important to improving your financial well-being? To build a richer life, make more money, and live more comfortably, new habits and knowledge are needed. And it’s for that reason we compiled a list of the best personal finance books to read. The 10X Rule: The Only Difference Between Success and Failure by Grant Cardone is a book designed for the go-getter who aspires for greater professional and personal wealth. Cardone explores the habits that lead to mediocrity and the actions needed to create phenomenal success. If you want to achieve extraordinary results professionally, personally, or physically, you will need to radically alter how you spend your time each day, according to Cardone. A routine 9-to-5 job won’t translate into enormous riches. To reach phenomenal heights of success, you need to stop underestimating the effort needed and operate by what the author describes as the fourth degree of action: Massive Action. The 10X Rule is provocative and will prod you to reflect on whether you could be doing more to realize a life of abundance versus an ordinary life which simply meets your needs. The title of the book offers a hint of what lies within the pages of this bestselling book. You will be asked to think not about how you can increase your salary by 5-10% but how you can find ways to boost your income by 10X. By aiming ten times higher, your mind is forced to seriously evaluate what it will take to transform your life from its current state to one of significantly more abundance. Ray Dalio may not be a household name to the general public but he is an icon in the investment management industry. As a young, ambitious go-getter, he started a company in his two-bedroom apartment in 1975 and grew it to become one of the most successful private companies in the United States. That company is called Bridgewater Associates and it made more money for its clients than any other hedge fund in history. In Principles: Life and Work, Dalio shares a philosophy that he believes can be applied by anyone to create greater wealth and success in life, both professionally and personally. As an ordinary kid from a middle class neighborhood in Long Island, Dalio claims that what led to his enormous success and that of Bridgewater Associates was a ruleset that anyone can follow. Dalio believes economics, investing, and life itself can be systemized into rules and understood much like machines. He applies this philosophy at his firm, where employees receive “baseball cards” that highlight both their strengths and weaknesses. This approach he believes leads to more meaningful relationships and work. Within the pages of Principles: Life and Work, Dalio shares hundreds of practical lessons to help individuals and companies become more effective and create richer outcomes. The Total Money Makeover: A Proven Plan For Financial Fitness by Dave Ramsey is a must-read for debt-laden consumers who overspend. If you are saddled with debt from student loans, auto loans, personal loans, or a mortgage, and trying to figure out how to improve your financial health, this is the book for you. In The Total Money Makeover, Ramsey attacks head-on the idea of “keeping up with the Joneses.” Just because your neighbor bought a new car doesn’t mean you should too in order to keep up appearances. If you want an automated way to help you achieve this method, called the Debt Snowball Method, check out this Tiller Money spreadsheet. While some critics argue that it is better to pay off your highest interest debt first, Ramsey claims that research shows eliminating an entire bucket of debt feels better and helps people build momentum to pay down debt at a faster rate. So, if you have credit card debt, a car loan, and a personal loan, the goal would be to pay off your personal loan or car loan entirely because it will make you more likely to get out of debt sooner – even if your credit card debt is costing you more each month because of higher interest rate charges. If the idea of being more disciplined with how you spend money resonates with you, The Total Money Makeover is one of the top personal finance books to buy. Tony Robbins is best known as a speaker, life coach, and consultant to some of the best known celebrities, sports stars, and dignitaries from Princess Diana to Andre Agassi. Usually his work concentrates on how to break bad habits, control your mind, rebuild broken relationships, be more confident, and discipline yourself. So it may seem unusual for him to write a book purely about money, but following the stock market crash of 2008-09, Robbins believed people needed to learn about money in a simple, powerful way that wasn’t cluttered with financial jargon. His book, MONEY Master The Game: 7 Simple Steps To Financial Freedom is a blueprint for how to improve your financial wellness. Where most other personal finance books for adults, twenty somethings, or college kids are written from the perspective of the author, MONEY Master The Game is based on extensive research and interviews with 50 of the world’s richest people, including Warren Buffett, Ray Dalio, and Steve Forbes. Robbins dispels financial myths that can steal away your financial future and shows you step-by-step how to become financially free by creating an income plan. In the book, you will be guided through a 7-step plan designed to create financial freedom for you and your family. Not only does Robbins make complex financial concepts easy to understand but he provides an actionable plan to use from day one. Rich Dad Poor Dad by Robert Kiyosaki is a timeless classic and a must-read for anyone who is working a 9-5 job yet aspiring for more wealth. Kiyosaki shares the story of his real father who he describes as poor and his “Rich Dad” who taught him the skills of the ultra wealthy. His actual father was by no means a professional slouch. He had succeeded in his career when it came to a lofty professional title but financially he was poor. In Rich Dad Poor Dad, Kiyosaki explores the professional journeys of both his real father and his so-called “Rich Dad”, who had fewer academic credentials but had attained much greater wealth. If you earn a regular salary, Kiyosaki will contrast your income potential with the earning possibilities of investors and business owners. You will also learn about smart passive income streams so you can make money even when you are sleeping. In Rich Dad Poor Dad, Kiyosaki shares his own story from unsuccessful Xerox salesman to multi-millionaire real estate mogul, successful author, and investor. For readers who want to open their minds to new ways to make money and enjoy a page-turner in the process, few personal finance books are as compelling as Rich Dad Poor Dad: What The Rich Teach Their Kids About Money That The Poor and Middle Class Do Not! The Richest Man In Babylon has long been regarded as one of the best books on finances. What began as a collection of leaflets provided to consumers in the 1920s culminated in a book of timeless financial principles, priceless suggestions, and financial tools designed to help you become more financially successful. You will learn how to control your expenditures, guard your nest-egg from loss, insure a future income, and enhance your capacity to earn. The more you read the more you will discover pearls of wisdom, such as the Five Laws of Gold and how Work is the Key To Golden Shekels. If you are looking for a book that reads as easily as a novel but is jam-packed with valuable financial lessons, The Richest Man In Babylon is a timeless classic. Hailed as one of the greatest books on getting rich, The Automatic Millionaire by David Bach shares the story of a low-level manager and a beautician who earned no more than $55,000 per year collectively. What makes their story extraordinary is how they retired with over $1 million, owned two homes debt-free and put their kids through college. In fact, this New York Times Bestselling book, which has sold over 1.5 million copies, claims to be a simple one-step plan that can be designed in one hour and it lives up to its promise. If you are worried about securing your financial future and want a simple plan to achieve your financial aims, The Automatic Millionaire won’t disappoint. What finance books have you read that you would recommend? 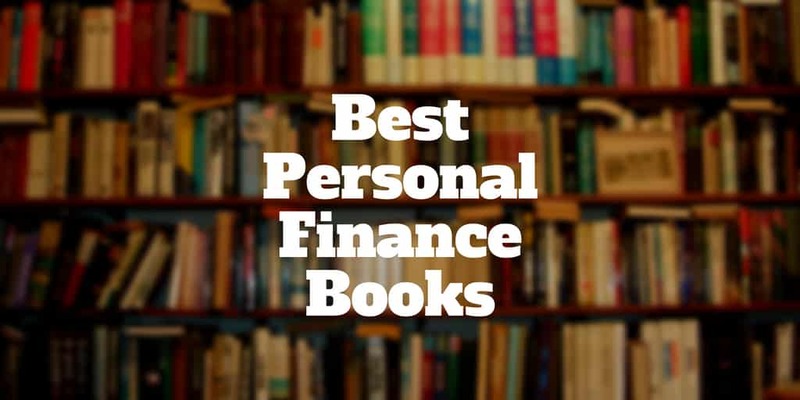 Let us know what the top personal finance books are in your opinion, we would love to hear from you. ‹ Can You Get A Credit Card Without A Job?